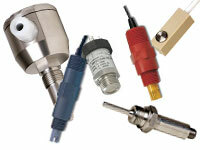 Measuring sensors are a generic concept which refers to different sensor types . Measuring sensors mean both units which emit an analogue signal as well as those units with a binary signal (Power On/Off). Measuring sensors are required where it is not possible to detect electrical quantities. Measuring sensors transform a physical quantity into an electrical one. 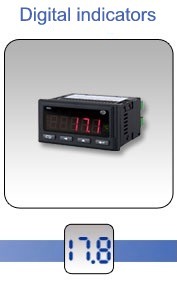 Among our range of products you will find measuring sensors for different physical quantities. 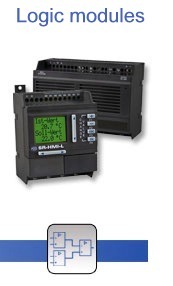 In the following categories you will find measuring sensors for several applications. Temperature sensors are the best known sensors. Pt100 or thermo-elements can be used in the industry and in the field of research. So, there is a wide range of these sensors. Another important part in the field of measuring sensors are pressure sensors which can be used for many different applications. If you do not find the measuring sensor that best suits your needs, please contact us. Our range of product is completed with level indicators, force sensors as well as pH and Redox electrodes. In order to include these measuring sensors in your set of tools, most of our sensors have available additional accessories. For example, there are available welded sleeves and clamping screws for temperature sensors or electrode supporting structures for pH sensors. If you have questions about the measuring sensors, you can contact us: UK customers +44(0) 23 809 870 30 / US customers (561) 320-9162. Our technicians and engineers will help to advise you on these and other measuring sensors, and also on the other products of our range (regulation and control, scales and balances. To carry out a measuring and control task, measuring sensors and other devices are required. These measuring devices can also be found among our wide range of products. You are in the Measuring Sensors category. Measuring sensors are an essential element within moder automation and such sensors detect many different physical quantities. Measuring sensors make physical quantities such as pressure, temperature or force understandable and transform them into electrical signals. For doing that high accuracy is necessary, so sensors should not have a great influence in the process. Besides, response time should be as short as possible. To meet these requirements a great number of physical effects are used. For example, to measure temperature, materials which change their electrical resistance when temperature changes are used. On the other hand, pH and Redox electrodes give a constant voltage. Another fields which belong to measuring sensors are those which have a binary output signal (On/Off) instead of an analogue one. Level sensors are an example of this group. Many measurements do not require a high accuracy within level measurement, however it is enough to detect when certain level has been reached. 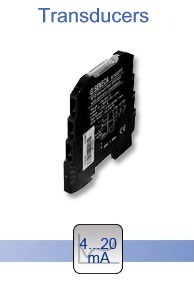 For example with capacitive level sensors which give an output signal when the liquid reaches the sensor. So a controller can react.